Our goal is to set the standard as a company with the expertise and technical depth that our customers rely on for product solutions, sales, support and marketing insight. While understanding the industries and customers we serve and the regional markets we compete in, we can anticipate your needs. With our multi skilled staff we strive to provide quality services with integrity, reliability, professionalism and efficiency. We take pride in enriching the future of our customers, co-workers, business partners, and communities by delivering outstanding customer service and go green product knowledge. 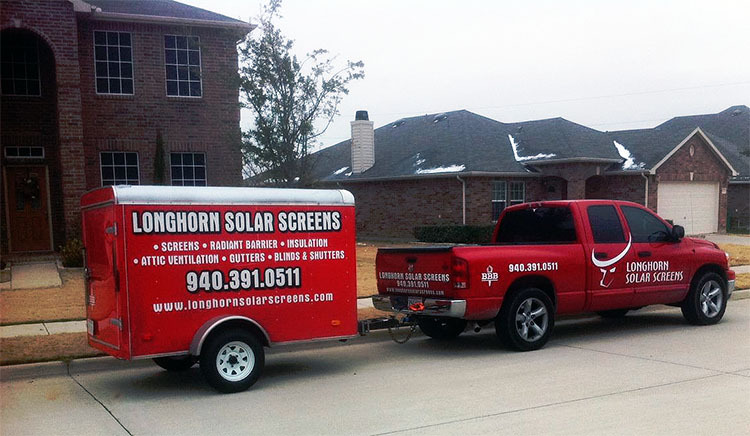 Longhorn provides products that are competitively priced, but the quality of the screens and other products we sell are unmatched in the industry. The majority of our work comes from repeat customers and/or referrals. Our staff is highly trained and educated in this industry. We strive to offer personalized service at affordable rates. Our staff appreciates your interest and looks forward to earning your business. We have provided an overview of our products and services in this website and hope that it is helpful.